Connect to Wifi Porter by simply tapping your phone on it. 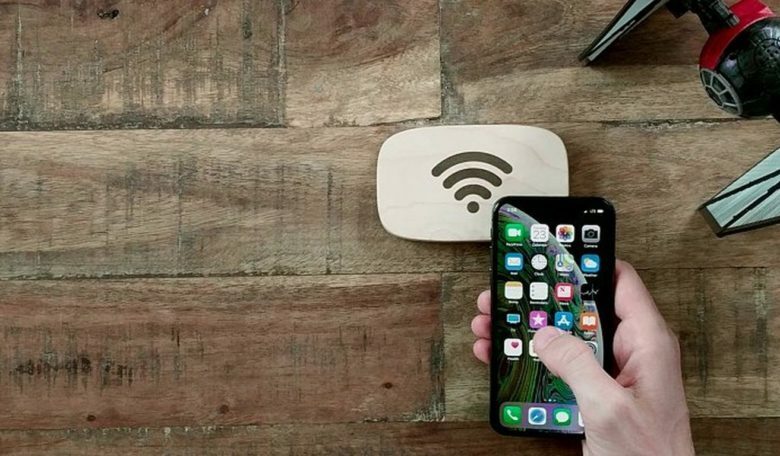 Imagine letting a friend connect to your Wi-Fi network just by tapping a hockey puck-sized chunk of wood. That’s the promise of Wifi Porter, an accessory from Ten One Design that saves guests from having to type in a password to get on the net. It uses NFC and doesn’t require users to install any software. A long, complicated Wi-Fi router passcode is highly recommended for security reasons, considering anyone can connect to your network if they guess you used “password.” But sharing that passcode with visitors is a hassle. Or your friends could tap their phones on the Wifi Porter to get connected. For iPhone users, that full functionality requires a recent iPad or an iPhone XS, XS Max or XR because of limitations in Apple’s NFC implementation. Otherwise, guests just have a scan a QR code. The accessory also works with Android models. It’s quite possible Wifi Porter will show up in Airbnb spaces but it’s not actually intended for commercial use. That said, Ten One Design is looking for feedback on how much demand there is for a version for coffee shops, etc. Wifi Porter in a wooden casing is available now $39.95. Or there’s a version with a leather surface for $59.95. An iOS feature called “Share My Wi-Fi” makes it easier to give users of other Apple devices access to your network. All that’s necessary is holding the two computers close to each other. The advantage of Wifi Porter is that it’s even simpler to use and doesn’t require someone already connected to the new to be present. Plus Android devices can connect.